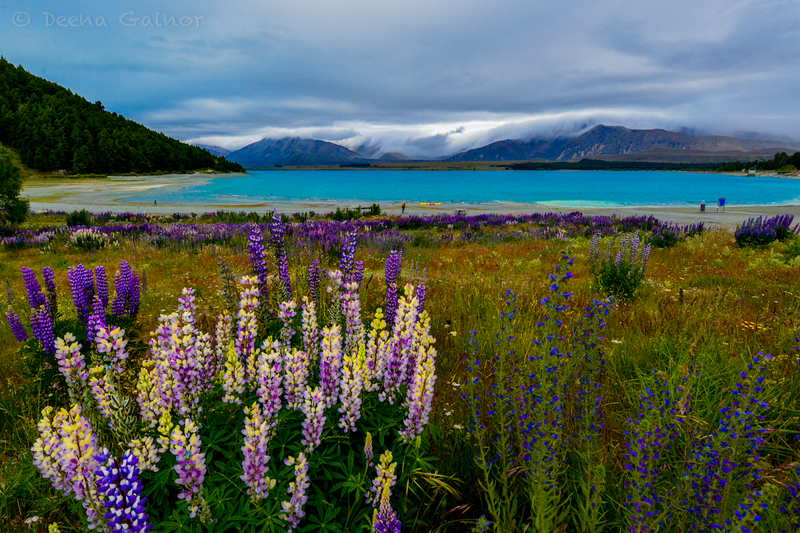 Ok, so I’m jumping ahead a bit, but I could hardly keep from posting this shot of Lake Tekapo! The photo doesn’t come close to describing what it is really like! The colors…wow!! And all this on a rather cloudy day! I wonder what it would be like on a bright, sunny day. I am so overwhelmed by the beauty of New Zealand! 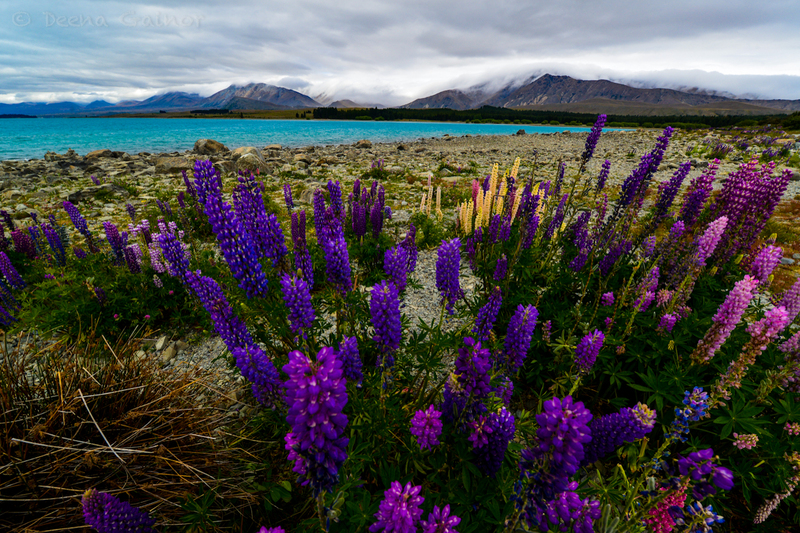 Lake Tekapo is famous for it’s gorgeous blue/turquoise colored water and amazing purple, pink, and yellow lupine flowers. It’s all rather stunning and difficult to take in. You can just rest and relax with brilliant views or you can spend some time kayaking or hiking in the area. It’s well worth a few hours or even an overnight. 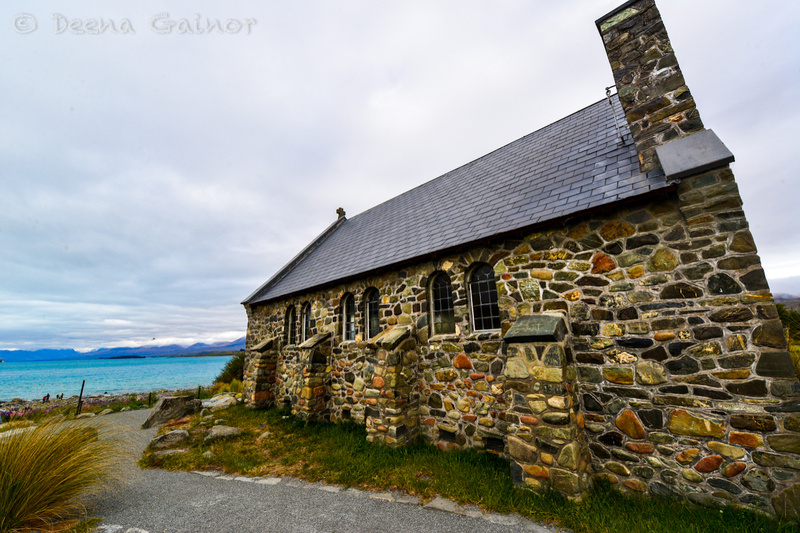 Lake Tekapo is a very convenient stop along with way if you’ve just been to Queenstown and are heading to Christchurch, or if you are just hanging out in the Queenstown area. The town itself is very small, with boutique type lodging, tiny shops and cafes, and great campervan and small cabin type lodging area right on the lake. If you have the time to hang out at Lake Tekapo, do visit! It’s well worth the time and the views will blow you away.